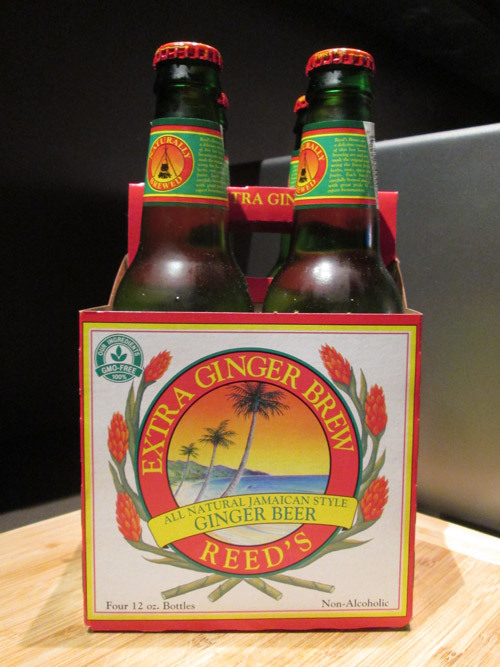 After mentioning Reed's Ginger Beer in my previous review for Trader Joe's Triple Ginger Brew, I figured I should probably going ahead and make a review for it. As a big fan of ginger beers, this is probably one of the best you can find at an affordable price. It has a super strong ginger flavor that can be a little overwhelming at first if you're not a big fan of strong flavors. You can actually see the ginger floating in the bottom of the bottle! If you're looking for a ginger beer or ginger ale for mixed drinks, this would be a good option that will provide some extra ginger flavor. I usually drink it straight, but if it's too strong, you could always mix it with club soda or seltzer. It's also a great option for non-alcohol drinkers at parties who want something more than water or boring soda. I buy this pretty frequently, and every time I do it's gone in about 4–5 days maximum.